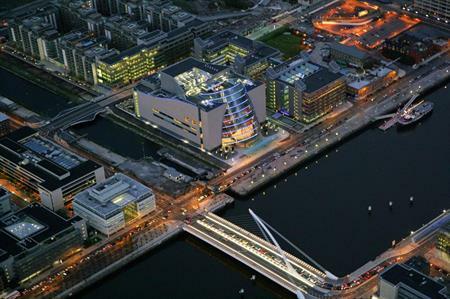 More than 5,300 delegates will attend the five international association conferences at the Convention Centre Dublin, generating revenue in excess of €7m for the local economy. The successful bids were secured in conjunction with Industry Partners and Dublin Convention Bureau, a unit of Failte Ireland, the National Tourism Development Authority. The conferences include the 7th European Conference on Interventional Oncology, the International Capital Market Association's 48th annual general meeting and conference, the International Federation of Freight Forwarders Association's (FIATA) world congress and the International Society of Paediatric Oncology's (SIOP) annual congress, all of which are taking place next year. The 7th World Congress on Family Law and Children’s Rights will be hosted in 2017. The FIATA will host its 2016 world congress in October in association with Conference Partners, the official PCO, which will also be working on The 7th World Congress on Family Law and Children’s Rights. Clare Kilmartin, conference director at Conference Partners said: "We are delighted to be working with the Irish International Freight Assocation on FIATA 2016. It is a well-established congress which will bring up to 1,000 visitors to Dublin for almost a week-long stay. This is a terrific boost for Dublin and the surrounds and we are really looking forward to the planning year ahead." The SIOP is hosting its annual congress in Dublin for the first time, in association with PCO Kenes International. Congress president Dr Michael Capra from Our Lady's Children's Hospital Crumlin, said that location, accessibility, affordability and the state of the art venue in The Convention Centre Dublin were the deciding factors for the choice of Dublin as the host city.